NaGa DeMon (National Game Design Month) is coming to a close. Deep in our underground gaming labs, the dwarves, gnomes, and pirates here at Skyland have been slaving away on our submission. Skyland Games presents: Fog of War! Fog of War is a mini game that stands on its own, but has been used in our RPG campaigns as a massive battle resolution system. In our recently completed dwarven clan campaign, we marshaled an army of fellow dwarves against a huge undead horde invading from Thay. It is very customizable and could be adapted for use in just about any campaign. Our PCs acted as Generals, conferring a bonus based on our class to the unit we commanded. To play Fog of War requires at least two players, but is generally geared towards a Players vs. GM setup. Download the PDF and let us know what you think! Click Above to download Fog of War! A fascinating discussion was started over at critical hits over the holiday weekend. Mike Shea, who literally wrote the book on epic play, laments that scaling challenging encounters is much more difficult at the epic tier than it is in heroic. Having just completed another awesome session of my Scales of War campaign, I can understand the concern, but feel it should be looked at in a different light. Consider the hours and dedication it takes to get a character from level 1 to level 30. Players even entering the epic tier are not going to be casual or new players. If you have the dedication to play at the epic level, its because kobolds, goblins, and orcs have lost their appeal. In our last session of scales of war campaign, we fought a living typhoon elemental that had the seals of three gods on its chest, in the middle of an ocean floor, while the ocean was held back by the typhoon. 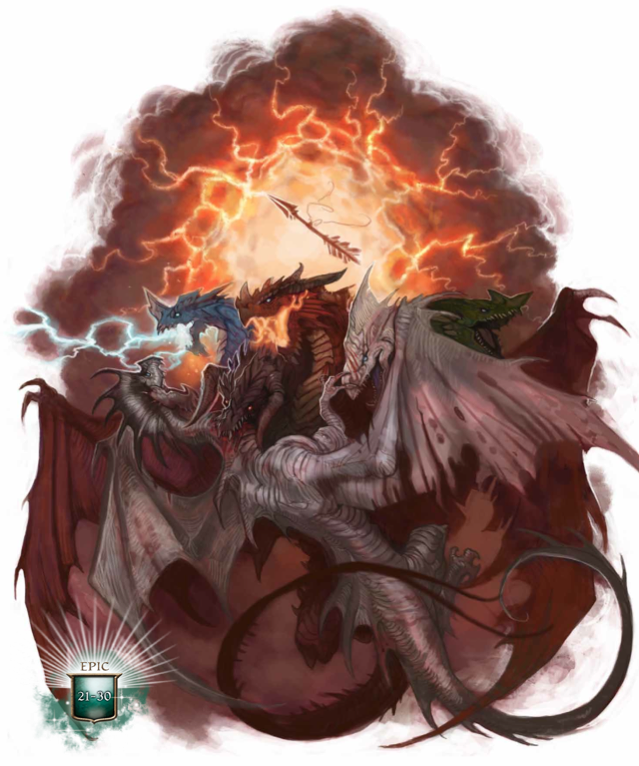 In the incredible battle that ensued we used party synergies and effective tactics to whittle down the more than 1400 HP beast, smash him open, grab the Arrow of Fate – an artifact that is a piece of Io, the dragon super-god that split into Bahamut and Tiamat at the dawn of time, just before the walls of the sea came crashing down around us. EPIC! Will battles take longer at level 25 than at level 5? Almost without exception; but that is as it should be. Will it take more prep-time, flexibility, and skills from the DM? Naturally. An epic game needs an epic DM. I recently DMed a low-epic level module that was not properly scaled for our party. The PCs were walking all over every challenge. 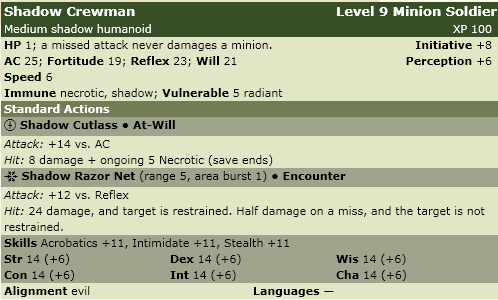 Some of it was good luck, a lot of it was character optimization, but in the end I feel it falls to the DM to bump up those stats, recharge that encounter power, and add an extra damage die or two. If you’re not up for the challenge for your weekly game, and feel like you have dedicated all the prep time you possibly can, have an awesome time in heroic. In my other group we limited both the dwarven clan, and we plan on limiting the pirates to level 10. Its fun, and not overly-taxing. There may come a time when you as a player, or as a DM want something more. At that point you can join me and my epic-brethren in the Astral Sea. Look for us on the most dangerous planes, in the deadliest locations. We’ll be the ones challenging the gods for rule over all creation! Disclaimer: This post is heavily influenced by me just finishing the book Game of Thrones by George R.R. Martin. If you haven’t read it, do so immediately, it is one of my all time favorites. A coat of arms can provide depth to a back story and compelling story hooks, even if your character isn’t a knight in shining armor. 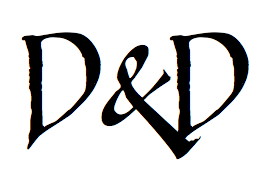 In fact, Heraldry has been used to enhance D&D since the early days of Greyhawk. In Game of Thrones, each of the noble houses has a crest with an animal, colors, and words, which act as a sort of motto for the house. 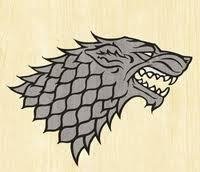 For instance House Stark has a grey dire wolf on a white background. Their words are Winter is Coming. House Baratheon has a black stag on a field of yellow, with the words Ours is the Fury. House Lannister, a golden lion on red, with the words Hear me Roar. All of these are used to great effect on the battlefield as units are easy to recognize by their colors and symbols. Also at court, a knight or sworn sword could be identified by the colors he was wearing, or the crest on his helm or shield. Adding these details to your character can do a lot to breathe life into a collection of stats. 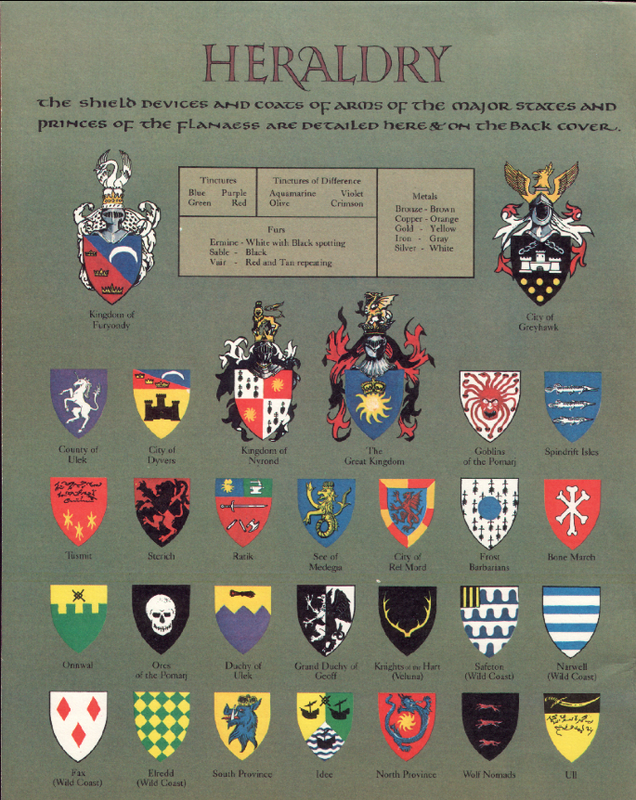 In the Greyhawk Boxed Set, Gary Gygax used coats of arms not only for regions, cities, or noble houses, but also for nomads, bandits, and even some tribes of monsters! When a foe has a symbol, and a little bit of history, a DM can strike fear into his party once they spot a banner or flag of a group of enemies. In our recently completed dwarven campaign, our clan had a symbol, colors, and some backstory to what the different objects in our crest meant. Our new pirate campaign may require us to create a flag with special meaning to our particular pirate crew, but symbols don’t have to be adopted by the entire party. For instance, a rogue could have a tattoo of the thieves guild he belonged to, or the wizard could have some symbol on his spellbook from a particular school of magic. Clerics usually have holy symbols associated with their faith, but they could have a special symbol for their particular sect. Fighters could have a variety of symbols, even if they aren’t a highborn knight. 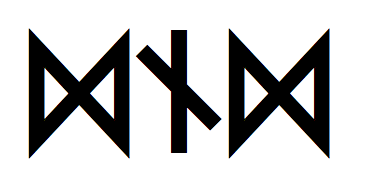 A barbarian could have a symbol of his tribe, a sellsword could have a symbol of his guild of mercenaries. The possibilities are endless. Inkwell Ideas hosts a Java program that can help you create your own unique crest. Any particularly awesome stories of how heraldry is used in your games? Let us know in the comments below! Captain Frydae the Black — And NaGa DeMon! Braving the lines and crowds shopping today would likely be more perilous than any encounter I could dream up. If you, like me, won’t be battling through throngs of savings-mad consumers, maybe you’d like to take on the dread pirate Captain Frydae the Black, and his shadowy crew. It’s a lot safer than Wal-mart, and a lot more fun! We’re putting on our finishing touches for our submission to National Game Design Month (NaGa DeMon). Have any of you played/made NaGa DeMon creations this month? Let us know in the comments below. Continuing our series of holiday-themed DnD 4e content (two makes a series, right? ), Skyland Games presents: When Thanksgiving Dinner Attacks! Originally this encounter appeared as the adventurers arrived at a dwarven turkey farm being ransacked goblins. Two goblins appeared in the doorway of the farmhouse, fighting over a horn-o-plenty. One goblin pushed the other away and grabbed the horn. He blew on the horn mightily, accidentally causing the farm’s defenses to spring to life. Gas began seeping from several nozzles attached to the farm buildings, a giant pumpkin came to life in the garden and started grabbing hysterical goblins, scarlet colored oozes flowed from various nooks and crannies about the farm and a turkey golem burst forth from a tool shed. 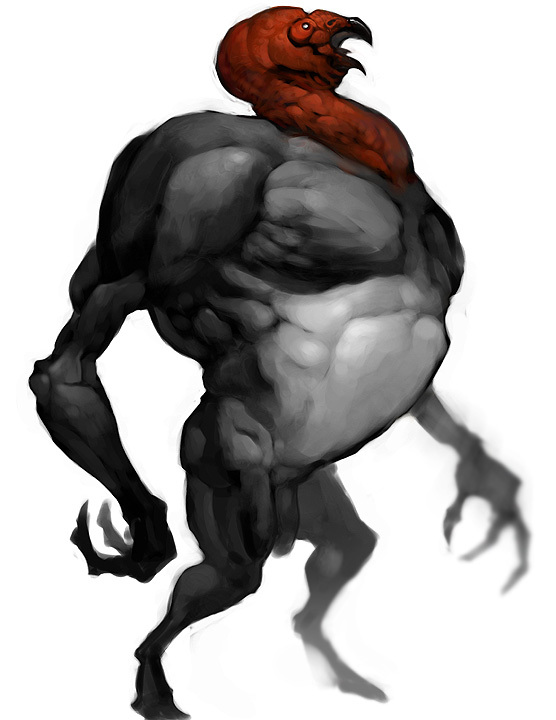 Skyland Games will be taking tomorrow off to defeat their own turkey golem. Look for our Christmas Carol adventure coming out in time for the holidays. We’ve got an interesting twist on the ghosts of Christmas past, present, and future. Thanks for visiting and happy thanksgiving! The guys at Skyland Games do not live in an analog bubble. We play video games, just like a huge percentage of the gaming population. Some people feel like 4e plays like a video game already, and some think that’s awesome. 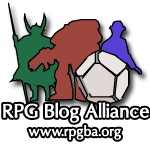 We love games of all types, we just generally choose to blog about RPGs and Board Games. That being said, the two do not have to live completely separate compartments in our brains. Many of you won’t be reading this article for a few weeks, because your every spare minute is dedicated to Skyrim. Having seen the immersive awesomeness therein, I completely understand. See you in a few months. That being said, you can mine Skyrim and other games for character concepts or adventure seeds. In my particular case, I just started playing Sid Meier’s Pirates! over the weekend. This dovetails nicely with our newly launched pirates campaign, and has provided a wealth of ideas and adventure seeds. The main plot of Sid Meier’s Pirates! is that your family has been unjustly held against their will. As the young scion of your family, you manage to elude capture and must seek out your family and become the most renowned pirate in the Caribbean! The game itself is set during the golden age of pirates in the 17th century. This is generally much later than most fantasy RPGs are played in terms of available technology, but with a few house rules, just about anything can be used. There was some debate as to whether our ship in our pirates campaign had cannons and whether gunpowder weapons would be used at all. As it turns out, in the first session our ship went through a portal that tore it in half, ship-wrecking the party and what remains of the crew on an island. Kind of a moot point for now. That being said, who knows where that portal took us, and what technology is available where ever our party ended up? If we do end up using cannons and gunpowder, Pirates! has some interesting special weapons that could be used in ship to ship combat. First up, Chain-shot. Chain-shot is a naval weapon used to damage particularly masts and sails to slow an enemy ship down. Two smaller than average cannon balls linked with a section of chain are loaded in to a single cannon. When fired the chain spreads out and can do massive damage to rigging, sails, and masts. In the video game, its used to disable ships so that they can be easily boarded. Usually once all the masts have been taken down, the ship surrenders, leaving the precious cargo intact. Secondly, Grapeshot. Grapeshot is an anti-personnel load that essentially turns a cannon into a giant shotgun. This weapon is formed with a small canvas bag filled with smaller, maybe musket-sized balls. Grapeshot doesn’t to much to sink a ship, but puts a hurt on the crew, most of whom would be above decks during a battle. 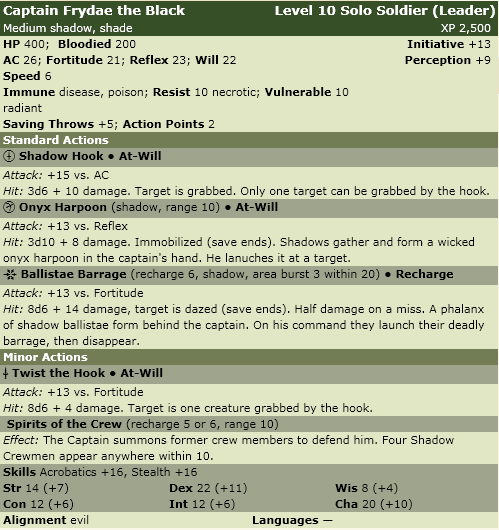 Look for these special weapons to be stat-ed out for 4e once we get our naval battle system up and running.